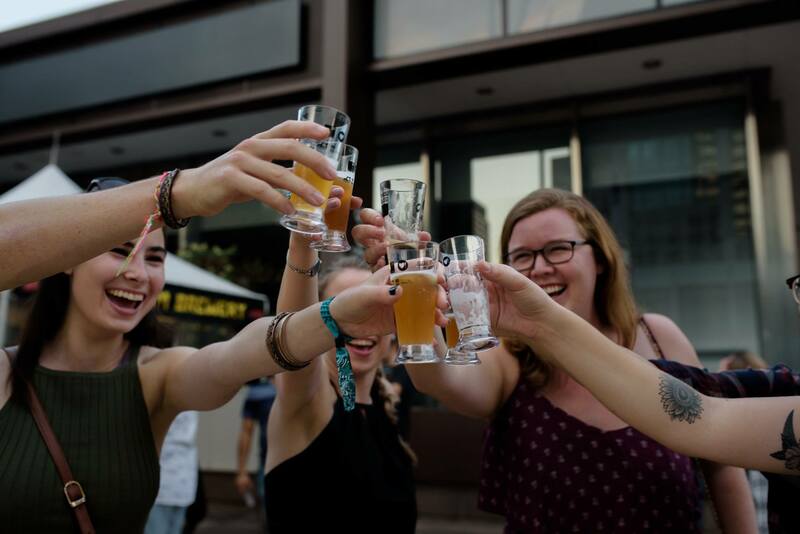 SSGB is a celebration of our thriving culture, featuring unlimited tastings from the best CT breweries alongside local food trucks and live entertainment. 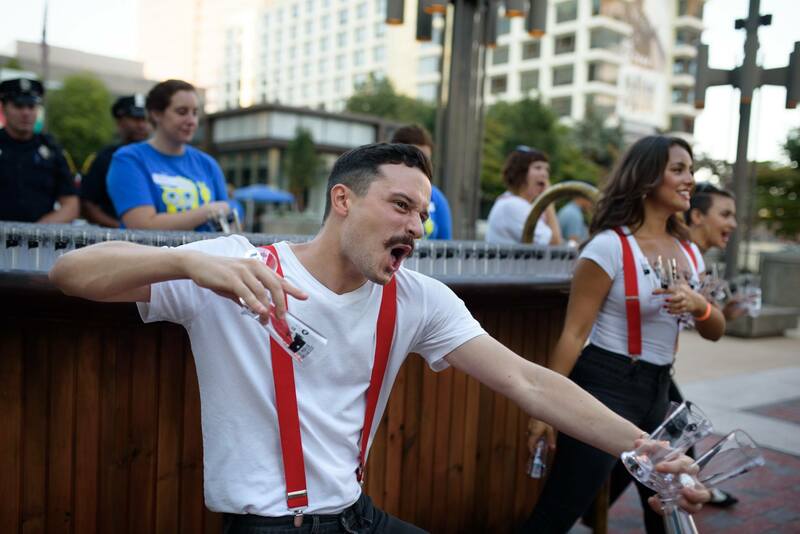 SSGB transforms a craft beer showcase into an immersive festival experience in Downtown Hartford. 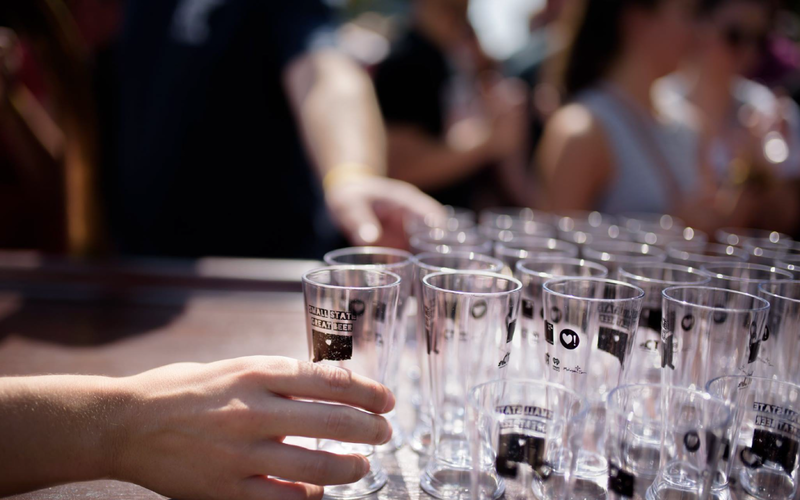 Connecting over 45+ CT breweries with thousands of attendees across two sessions, we aim to unite a truly diverse crowd around GREAT beer, local pride, and top-level culture. SSGB Fest is RAIN OR SHINE. 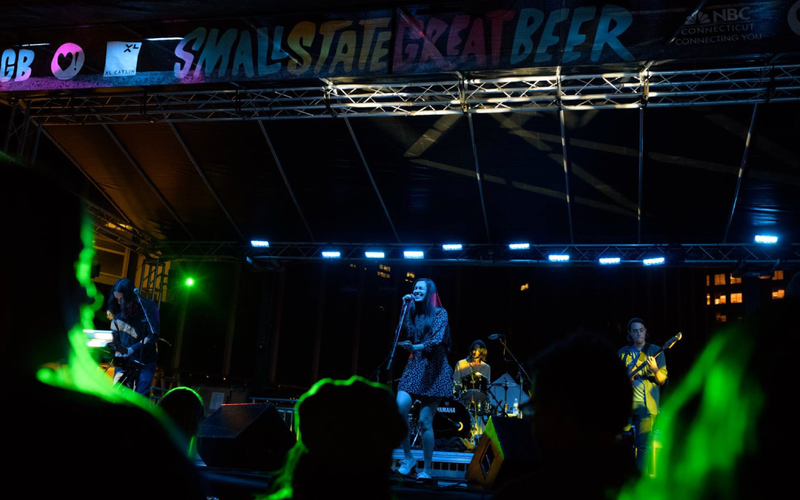 SMALL STATE GREAT BEER was the first festival to feature exclusively Connecticut beer and boy are we proud of it. 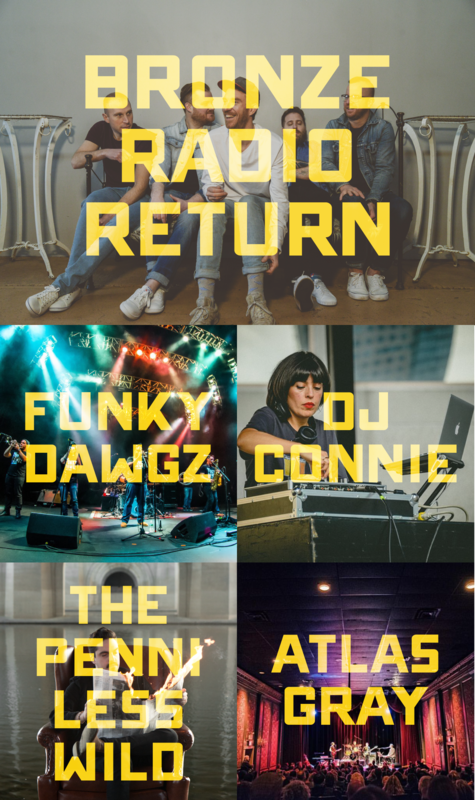 BRONZE RADIO RETURN, one of the biggest bands to come out of Connecticut, returns home to headline both sessions of SSGB 2018. Touring to national acclaim, BRR will perform in Hartford for the first time in five years. 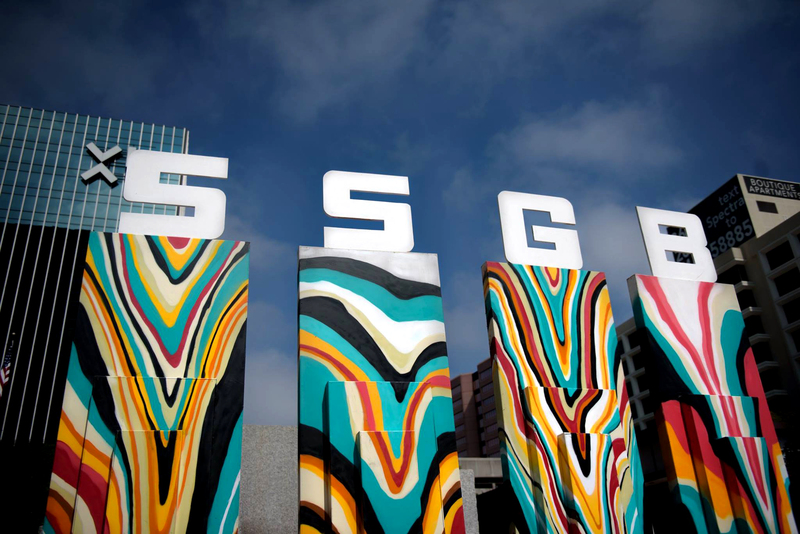 SSGB features live music during both the daytime and evening sessions. 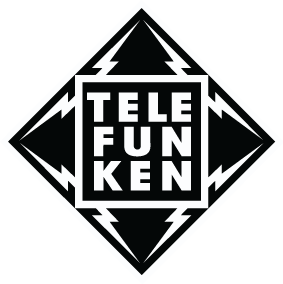 Past performers include RJD2, Cults, Son Little, Amasa Hines, West End Blend, Balkun Brothers. 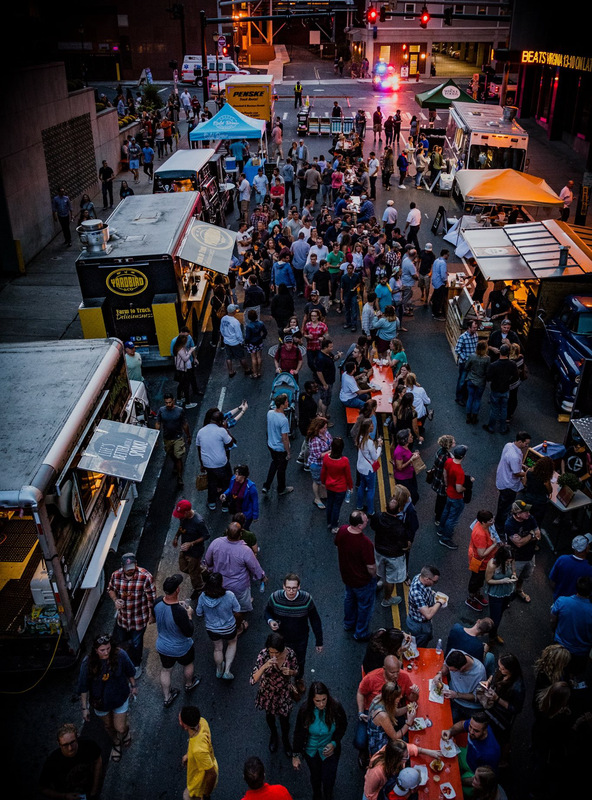 SSGB brings you the best food in town, with a whole street closed off for food trucks, and only accessible to festival attendees. 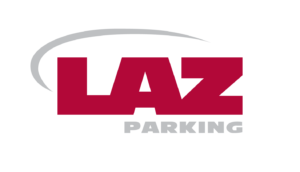 Download Transit App to plan your trip to SSGB! Or check out the Google transit trip planner to find out which route works for you. 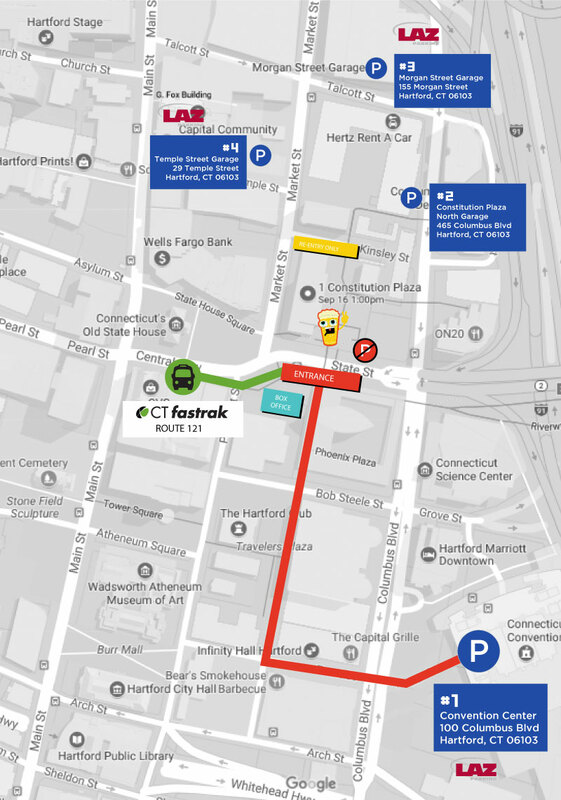 Both include all CTrail Hartford Line schedules and real-time info on CTtransit & CTfastrak bus routes. 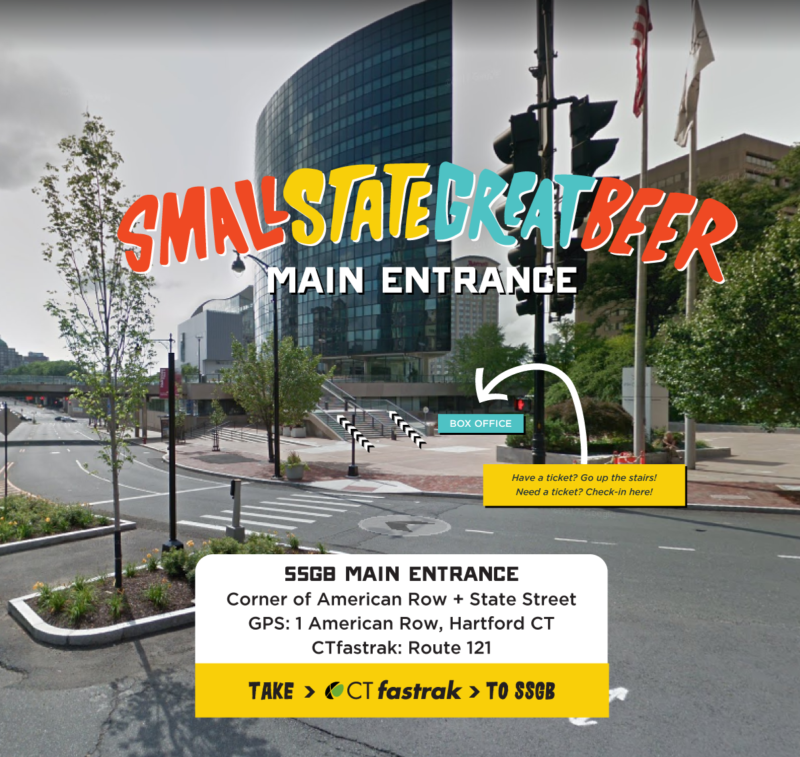 CTrail Hartford Line is a new affordable rail service that brings you straight to Union Station in Hartford – just a 15 minute walk or a quick Limebike to Constitution Plaza without the headaches of driving or parking downtown. 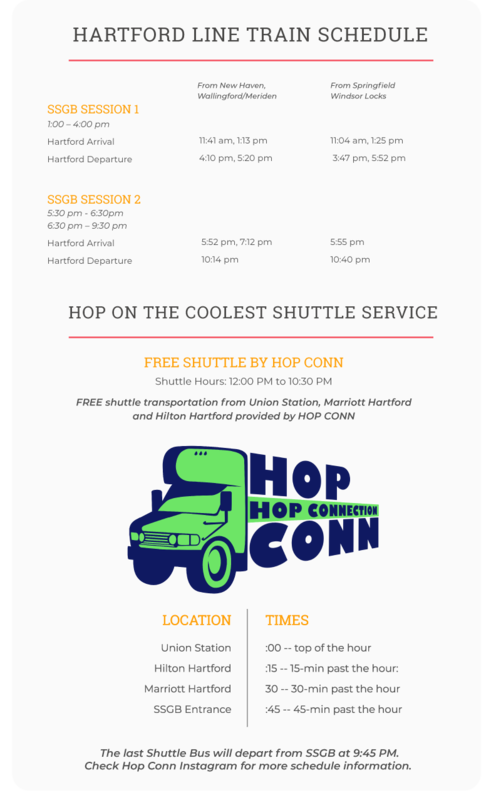 You can also ride the Hop Conn Brew Bus between Union Station, Marriott Downtown, Hilton Downtown, and Constitution Plaza — check out the schedule below. 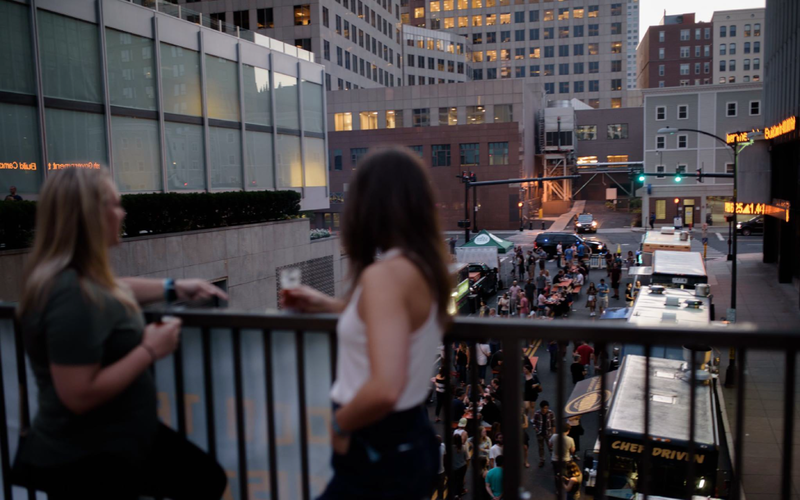 Make a weekend in Hartford! 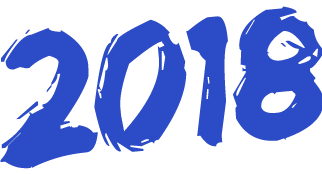 Click below for exclusive hotel discounts. 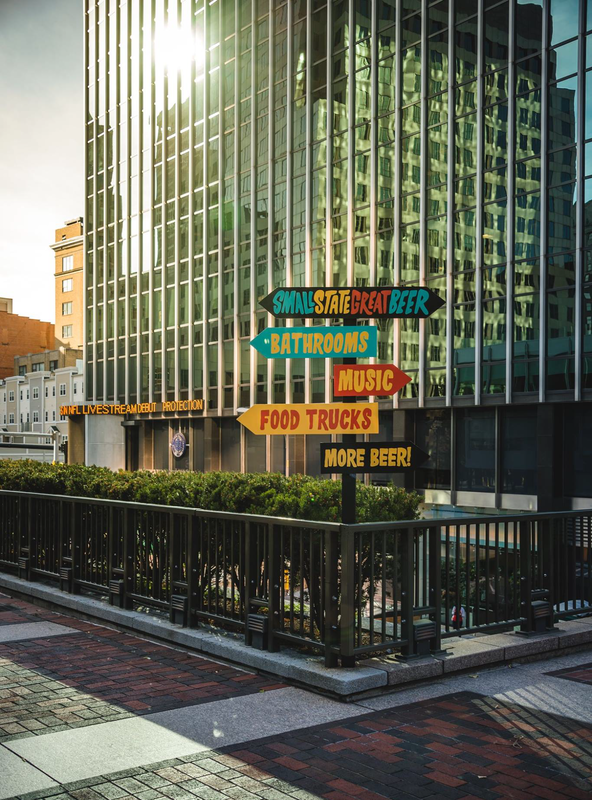 SSGB is located in the heart of downtown Hartford. Bike, walk, bus + train line accessible! 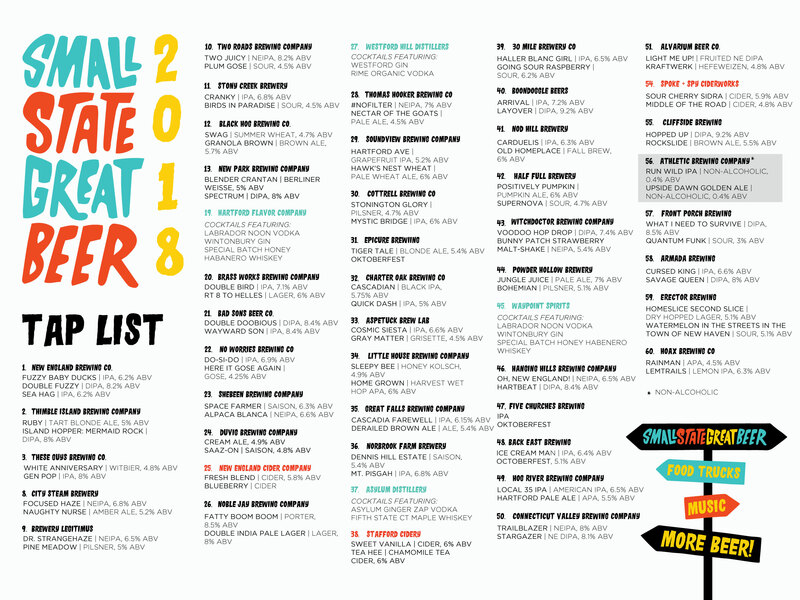 Join us for Connecticut’s biggest and best beer festival! VIP guests get early access (more time to drink!) and a bigger tasting glass (beer and more pours!). 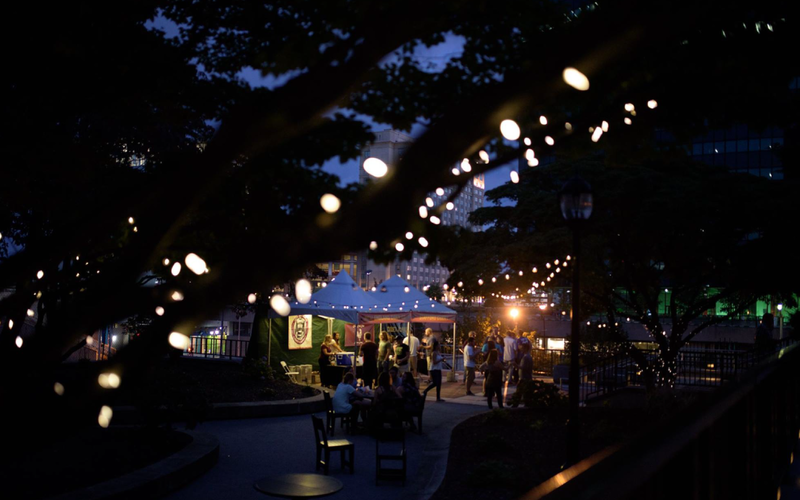 Live Music, Food Trucks + More!